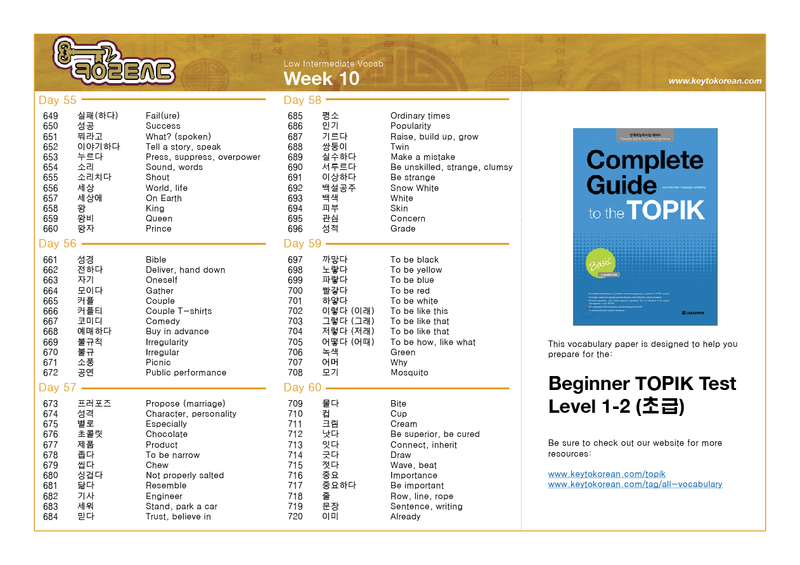 Here is the complete collection of vocabulary papers from the Low Intermediate Class (including a few hundred words in the Complete TOPIK Guide book). The total amount of vocabulary contained here is 1260 words. 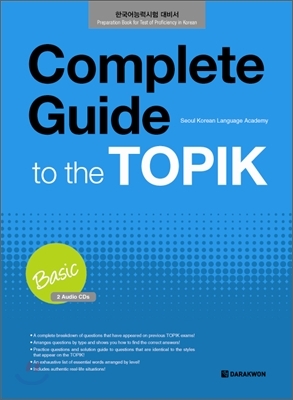 So, including the additional 900 words contained in the Beginner class vocabulary list, you’ll be well on your way to passing the TOPIK test with 2160 words total. There are 72 words per week (12 per day for 6 days) over the course of 15 weeks. 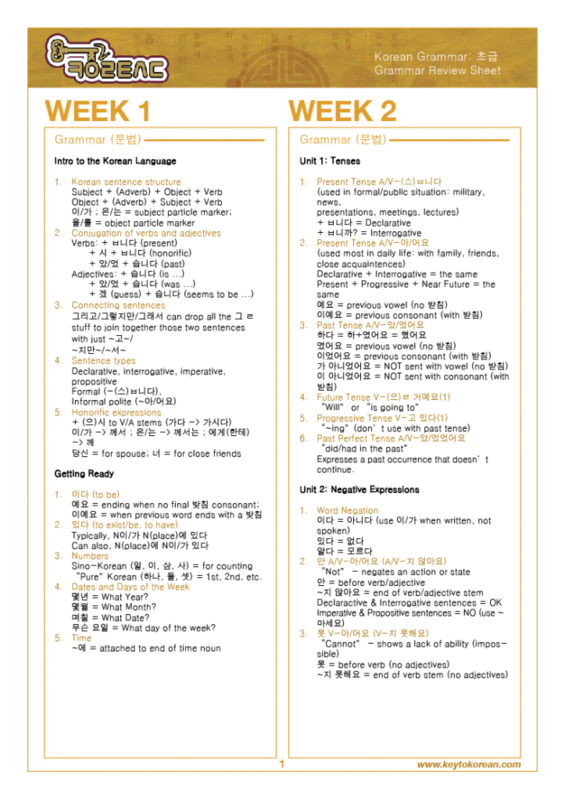 For grammar that is covered on the TOPIK Level 1-2 test, please check out Low Intermediate Class Resources page. 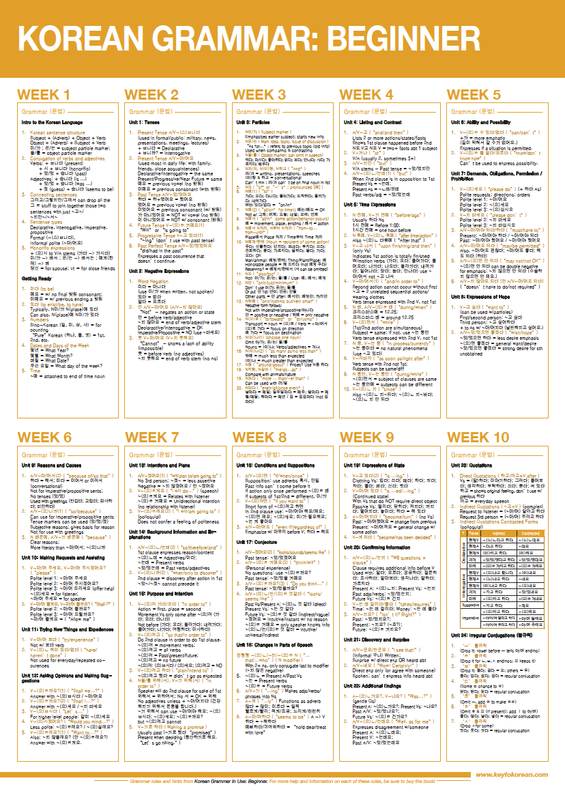 This morning I redesigned all the Low Intermediate grammar points into a full-sized A2 poster! The intention for this poster would be to print it out, and stick it my wall (or inner closet door) for quick and easy reference. What do you think? If we found a printer and made these available for printing and shipping, would you order one? I spent some time last night redesigning all the grammar rules I’ve taken notes on for the Low Intermediate course to fit on a 5-page PDF. There are two weeks of grammar rules per page. The best way to use this PDF is to practice with it. I plan to go back over all the grammar rules and try to write out between 5-10 sentences for each rule. The best way to memorize grammar and get it in your head is to use it. 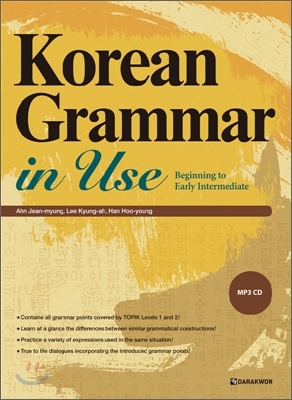 How will you use this grammar PDF?